Transform the traditional Poultry Business to a new revolutionary thinking. Wt. Formula is a Lysine - Methionine balancer which helps in fat mobilization when given with oil. 200gm of Wt Formula along with one liter of vegetable oil per 100Kg of Feed provides excellent results. All in One Formula is a complete Vitamin, Mineral, Liver tonic, Calcium, Toxin Binder and Amino-Acids Supplement for Poultry Feed and provides excellent results. 200gm is sufficient for 100 Kg of Feed. Egg production gets disturbed once amino acid balance gets disturbed due to seasonal change or some bacterial or viral infection. 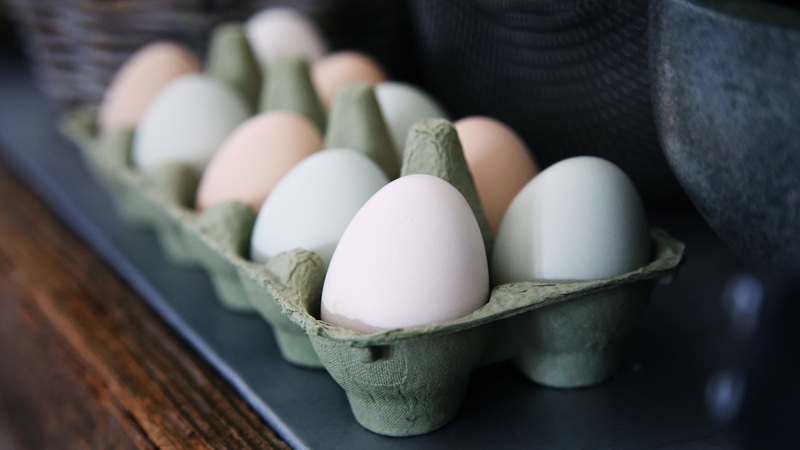 Egg Formula makes the bird an all weather friendly in Egg production. Pig formula is a multivitamin, multi mineral, liver tonic, trace minerals, calcium, phosphorous and amino acid supplement for the piggery. It promotes weight gain in the pigs and keeps them healthy. Milk Formula is designed for cattle and other milk producing animals. It contains Vitamins, Trace Minerals, Calcium, Phosphorous, Liver Tonic, and Amino-Acids which promote milk production in cattle. Goat formula is a complete Supplement for the goats. It contains vitamins, Trace minerals, calcium, phosphorous, liver tonic and amino acids for the steady growth and lactation in goats. Pets Care Formula is designed for dogs. It's a complete Vitamin, Mineral and Amino-Acid Supplement. 1/2 teaspoon(approx 4 gm) along with one teaspoon of coconut oil on home made recipes is sufficient. 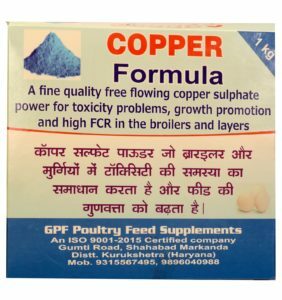 Copper Formula- Besides being fungus controller and mold inhibitor feed supplement, prevents Anemic conditions in Poultry and also improves FCR in Broilers and layers. Dose 50 gm per 100 Kg Feed. Toxin Binder Formula- Toxicity, fungus and aflatoxins play a spoil spot in Poultry. High moisture and toxins in Feed ingredients can cause Havoc, if not controlled. Dose 50gm- 100 gm per 100 Kg Feed. Liver Formula- Liver Formula is to protect Liver of the bird from various toxins and abnormalities and promote the functioning of this vital organ the natural way. 25gms per 100Kg Feed is sufficient. Trace Mineral in any livestock plays a significant role so far as its production, calcium absorption, and overall growth are concerned. Different livestock requires different ratios of Trace Minerals. Like humans, any livestock is dependent on the climate as per its health is concerned. With any climate change, the pH of the body starts changing because of change in moisture percentage in the atmosphere. As a result, the protein profile of the diet needs to be so adjusted to suit the climate change. This needs an expert advice. To those who are new to poultry business, poultry feed additives are nourishment-added substances for the poultry birds, added to ensure that they get adequate supplements from their meals. GPF Poultry Feed Supplements and Additives is a leading provider of the poultry feed additives and broiler feed additives. Our broiler feed supplements and additives ensure the rapid growth of the broilers. The broiler feed formulation includes complete feeds, concentrates, and premixes that provide a well-balanced diet to the birds. We are one of the best poultry feed supplements providers and poultry feed supplements exporters in the country. Most of the poultry feed supplements suppliers contact us to get our premium poultry supplements products. 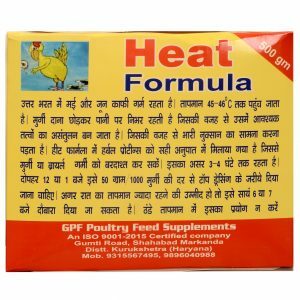 The promoter of GPF Poultry Feed Supplements and Additives has an experience of 26 years in Poultry nutrition and management. In Poultry, most common problems are – Production drop, pro-lapse, weak egg shell, egg size problem, etc. Nutritionally. Lysine and Methionine which constitute the important part of Poultry diet needs to be balanced so that it addresses most of the seasonal issues, mentioned above. Unlike some vitamins and minerals, proteins are not stored in the body; they need regular up gradation. If the Poultry feed is balanced in terms of Lysine and Methionine, a farmer can cut short the net protein in the Feed and save cost. Our hen feeds are valuable for egg-laying hens as they provide protein to the hens that are used in the development of the egg. The hen feeds must be kept dry and clean. A well-balanced diet with the help of our hen feeds facilitates optimal production and growth. The poultry feed ingredients used in the poultry feed formulation are passed through various quality tests before bringing them in use. Poultry feed formulation is not just based on mathematical formulas. We are aware of the fact that the poultry feed formulation is both an art and science. 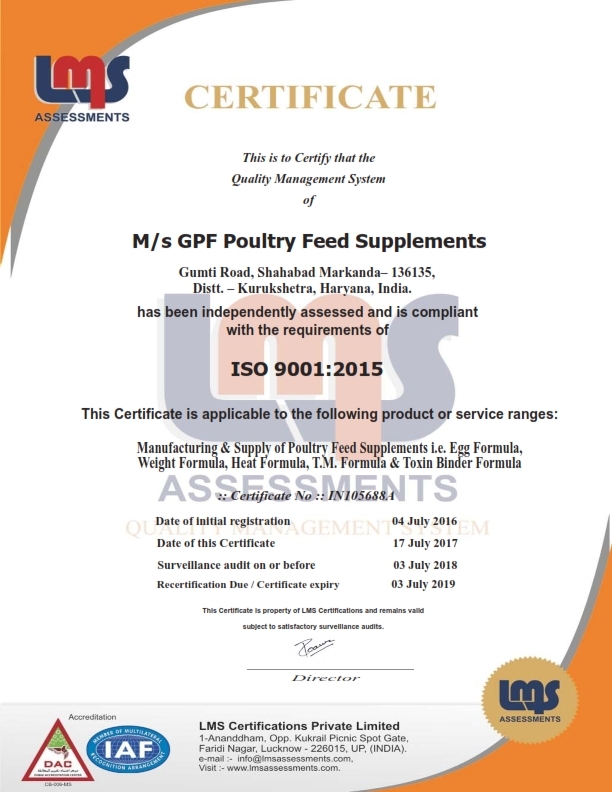 GPF Poultry Feed Supplements and Additives makes use of the highest quality poultry feed ingredients so that our poultry feed supplement products are as per the international quality standards. Our poultry feed ingredients go through strict quality control processes and procedures that make us the best poultry feed provider in the country. We guarantee the best poultry feed supplement products for your livestock as one of the best poultry feed supplements manufacturers. The products Egg Formula, Heat Formula, Wt Formula, Trace Mineral Formula, Toxin Binder Formula, Copper Formula, All In One Formula, Liver Formula, etc. provide a realistic solution, under one umbrella to all the common problems in poultry. 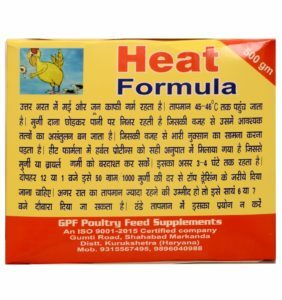 To understand the logic behind these formulations or to purchase poultry feed supplements online or to purchase poultry feed additives online, please visit our website- www.gpfindia.in and read the literature of each product. Most of the products available in the market for Poultry Nutrition lack specific targeting to these common problems or they supplement vitamins and antibiotics. As far as vitamins are concerned, a bird doesn’t need additional vitamins because fat soluble vitamins are already stored in their bodies, and additional supplementation can only invite the risk of excessive vitamin toxicities. Antibiotics are not required always until some bacterial infections are established. The gist of the nutrition lies in the balanced feeding which automatically controls most of the problems. Moreover, nature provides automatic climate adjustment system in the livestock unless and until a very poor or unbalanced Feed is given to them. Not only do we produce poultry feed supplement products, but also export the poultry supplements as one of the renowned poultry feed supplements exporters in the country. Our poultry feed supplements products are exported to different countries so that our poultry supplements reach the masses. We are also partner with other poultry feed supplements exporters for networking purpose. In this way, our market base increases by many folds and our poultry supplements are delivered to the customers regardless of their location. We are also one of the biggest poultry feed supplements suppliers and our products are supplied to the biggest retail outlets in the country. 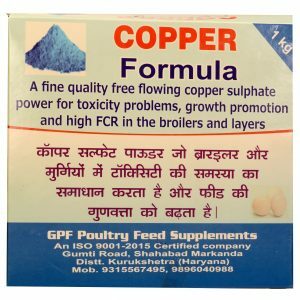 We also have contact with the other poultry feed supplements suppliers which makes us one of the greatest poultry feed supplements manufacturers available on the Internet. Order our products for a well-nourished and healthy livestock. We are among the best poultry feed supplements manufacturers; you’ll surely see the difference.